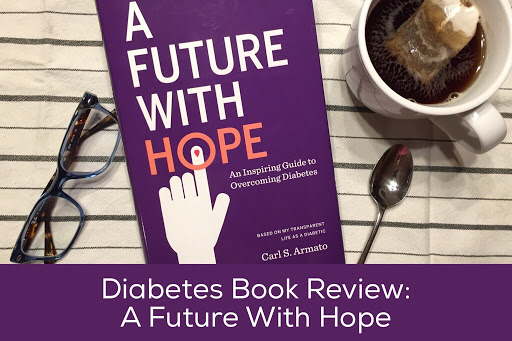 In A Future With Hope, Carl S. Armato shares what he has learned over the past 50 years of living with and managing type 1 diabetes. When I wrote my book Kids First, Diabetes Second my motivation was to share our family’s story of type 1 diabetes as a source of support for other families dealing with the same medical diagnosis. It is empowering to read someone’s story and think “me, too.” It’s terrific when you find someone who truly “gets it.” That’s why I enjoy reading books written by parents of and people with type 1 diabetes. In honor of National Diabetes Awareness Month (every November) and World Diabetes Day (on November 14th annually), I would like to share a book I recently read written by Carl S. Armato. 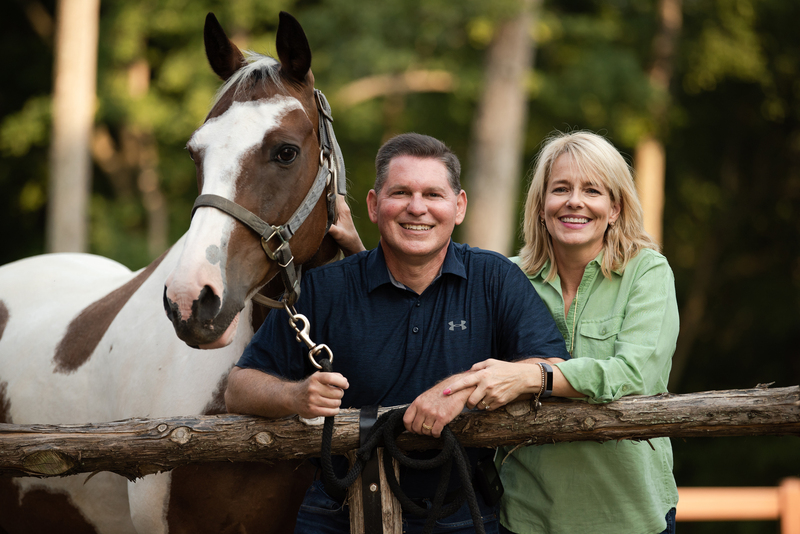 Carl is not only the CEO of Novant Health, but he is also a person with diabetes (PWD). He was diagnosed at the age of two and has been living with type 1 diabetes for over 50 years! 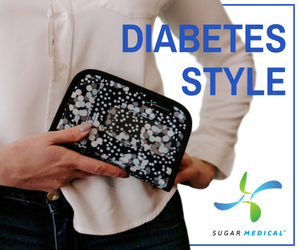 Of course, diabetes management has drastically changed and improved in the five decades since his diagnosis and the way we manage our children’s diabetes today is much different than how he and his family chose to manage his then. But he shares how his family decided to take his diabetes head on by learning as much as they could, finding ways to keep his blood sugar in check (he often used exercise to help manage his blood sugar), and not letting diabetes stand in his way of being a kid and achieving his goals. People with diabetes have heard plenty about danger; they need to hear of success and possibility. One of the main takeaways I had from the book is that finding support and creating routines are what help Carl successfully manage his diabetes. As I have heard from other PWD, Carl thinks of diabetes as a sort of gift that gave him determination, drive, and a problem-solving mentality. Diabetes made him want to prove himself by being a top student and athlete and by becoming a CPA and rising to the top of a healthcare organization. Carl talks about people in our lives from relatives to medical professionals that just don’t get it right. Whether it’s asking “Can you eat that?” or giving you suggestions on how they think, because everyone knows everything about everything, you should manage your own diabetes. People with diabetes are hard enough on themselves without feeling criticism from others. It’s true! We can’t possibly be expected to do the intricate work of an organ and get it right all of the time! While Carl has been very successful in his diabetes management and in his career, he doesn’t paint a picture that it’s all sunshine and roses. I tend to use “person with diabetes” or the abbreviation PWD while writing but may use the adjective “diabetic” while speaking because it more succinctly describes my child’s medical condition. I feel that saying I have a “diabetic child” in no way defines her, but rather describes that one aspect of her. 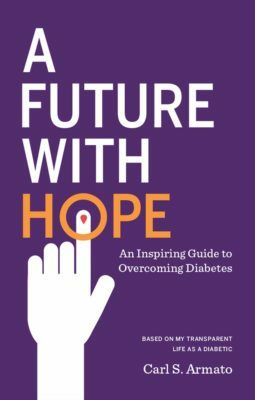 While this is not a book filled with medical advice, it is the story of one person living with diabetes who has chosen to take it head on and thrive. The demands of diabetes management are also the skills that helped him get ahead in life during school, sports, and his career. Purchase A Future With Hope written by Carl S. Armato from Amazon. If you read and enjoy the book, please consider writing a review! 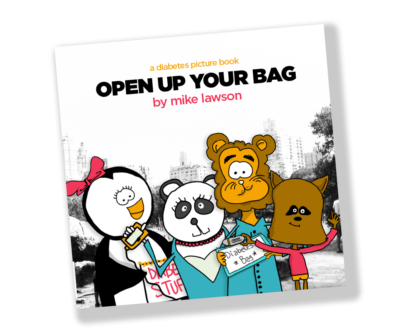 I had a chance to interview Mike, author of Open Up Your Bag, to find out what inspired him to write the book, why the characters are animals, who his hero is, and much more. 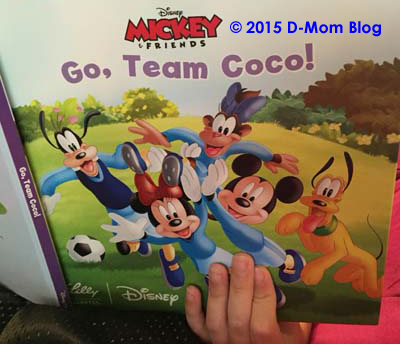 What I liked about the book was how cute the concept was and the character design and colors. I would have loved this book when I was a little kid. 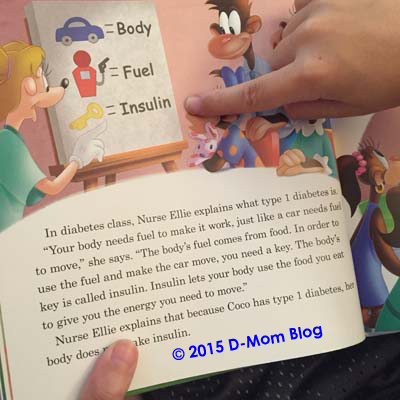 It’s a great book for kids who are new to diabetes. If you would like your own copy, you can purchase the Open Up Your Bag picture book from Amazon. D-Kid: What inspired you to write this book? Mike: I have always really loved children’s books. I like the illustrations and all of the different types. Some books have elaborate pictures that tell the story. Others have really simple pictures that accompany the text. There are such a large and diverse number of books to explore. D-Kid: What is it like living with diabetes? Mike: As you know, it sort of just depends on the day. Some days are tough, and my Dexcom alarms high or low every freaking hour. And other days I can skate through with steady BGs and not a care in the world. I guess that unpredictability makes this stuff manageable though. If I thought that every day was going to be tough, diabetes might be a lot harder. D-Kid: Why did you decide to make the characters animals? Mike: That’s a good question. I wanted this book to tell young people with diabetes that there are other people out there that have diabetes too. I intentionally was trying to make the characters look nothing like the people that I thought would be reading it… and I just assumed that there would be no lady penguins picking up the book. Using animals was an easy way to easily ensure that all of the characters were telling the kids reading it that there are other people out here doing what you do. Animals are also way more interesting than humans. A book filled with four human characters is not as fun to draw as a book with a panda, penguin, raccoon, and lion. 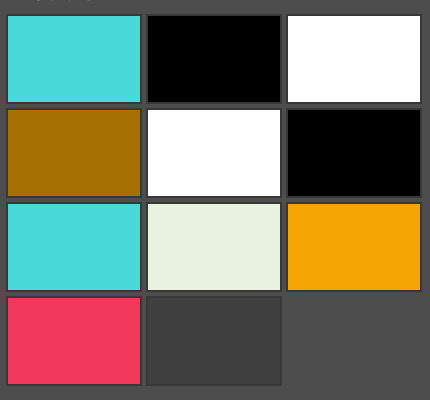 I got to use more color and shapes. People rarely have a huge mane. Drawing humans doesn’t allow me to have fun with sketching out a penguin beak. I feel that having animal characters helped me make the book a little more interesting for the audience I was drawing it for. D-Kid: What was your favorite part of writing the book? D-Kid: Who is your hero? Mike: I look up to a lot of people. Sci-fi writer Ray Bradbury had a big impact on me. Way before I was old enough to understand his books I got to meet him and I fell in love with the idea of who he was… it had nothing to do with what he wrote. I just really wanted to be a writer. I wanted to create something permanent. As I’ve grown, I’ve come to really love his books and the pure fantasy that he writes. And I’ve also come to really appreciate how prolific he was — he wrote 27 books and published more than 600 short stories. This dude wasn’t just talented; he had hustle. D-Kid: How long have you had diabetes? Mike: I was diagnosed a little later than you; when I was 20 years old I found out that I had diabetes, but I was mistakenly misdiagnosed with type 2 at first. It took almost a year of unsuccessfully battling high blood sugar with diet and exercise that I finally found out I had type 1. D-Kid: How did your diabetes affect the book? 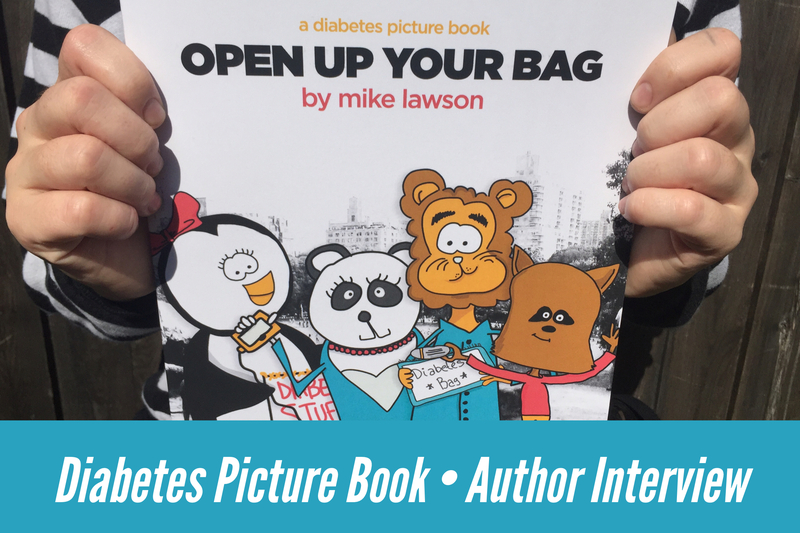 Mike: Having diabetes certainly inspired me to write and illustrate this book. But diabetes doesn’t affect my drawing at all. When I work on a long-ish project like drawing this book, I do spend a lot of time thinking about the audience that will ultimately be seeing the finished product. So when I was doing most of the work on this book I did spend a lot of time looking at some of the resources out there for parents of children with diabetes… the different blogs and books (like your mom’s). 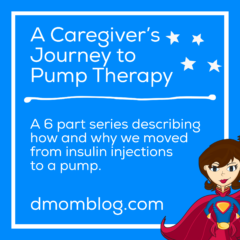 Since I don’t have a kid with diabetes, it was helpful to read stories from those perspectives because it is a much different life than the one that I have. Visit the Diabetes Doodles website for more information including downloadable coloring pages and purchase the “Open Up Your Bag” picture book for your T1D little. Read more posts written by D-Kid Q to learn her perspective as a kid living with type 1 diabetes. Disclosure: Mike is a longtime friend and sent us a copy of the book for review consideration. We were not compensated, and opinions are our own. I’m always excited to see a main character in a book who lives with type 1 diabetes. 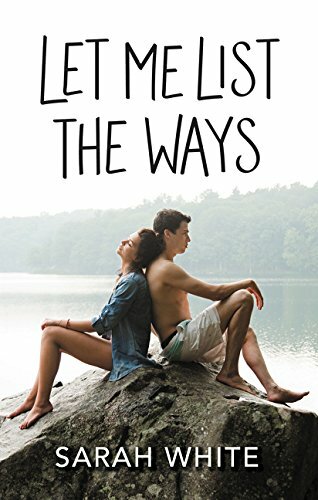 “Let Me List the Ways,” a new young adult (YA) novel written by Sarah White, features a teenage girl with T1D. The book was released on August 7, 2018. Find out if Q also read it. Read my full review of Let Me List the Ways on Diabetes Daily and purchase the book. Disclosure: I received an Advance Reader’s Edition for review consideration. I was not paid for this review and all opinions are my own. Is your child’s A1c being really stubborn? Do you wonder what a “super bolus” is? 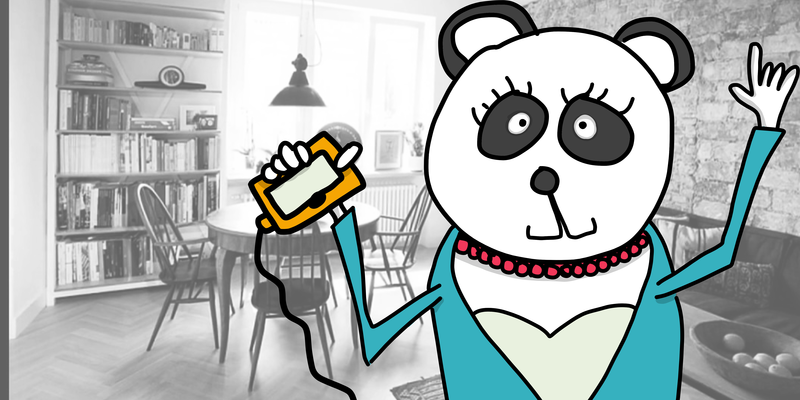 Are you considering an insulin pump or continuous glucose monitor (CGM)? 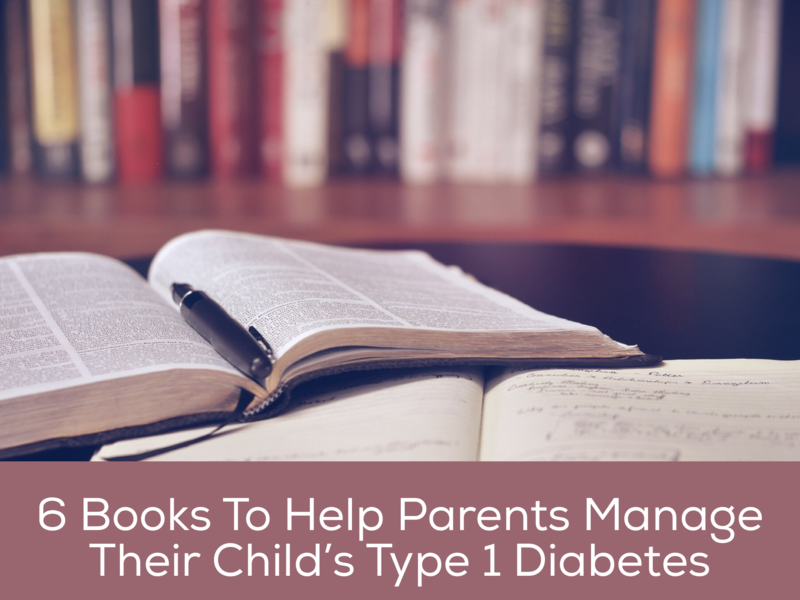 Here are six books to help parents manage their child’s type 1 diabetes. Understanding Insulin Pumps: For me this book was the perfect amount of information–not too little, not too much–to get me prepared to start the insulin pump and demystify basal rates, the risk associated with DKA with regard to the pump, etc. Read more about Understanding Insulin Pumps. Think Like a Pancreas: This is my go to book when I think about making changes to I:C ratios and testing basal rates. Everyone dealing with diabetes should have this book on their shelf. Read more about Think Like a Pancreas: A Practical Guide to Managing Diabetes with Insulin–Completely Revised and Updated written by Gary Scheiner and purchase your own copy. Until There is a Cure: I say time and again that I think it’s important to keep our children in the best of health for the time if/when there is a true cure for diabetes. Gary’s book Until There is a Cure is founded on exactly that premise: let’s do the best we can with the current and emerging technologies, medicines, and approaches in diabetes care. Read more about Until There is a Cure, also written by Gary Scheiner, and purchase your own copy. Emotional Eating with Diabetes: Ginger’s book Emotional Eating with Diabetes intrigued me for a couple of reasons. First, I think that it is all too easy to develop food issues when you have diabetes because there is so much pressure about and emphasis placed on food. Second, I know that I don’t eat as well as I should and thought perhaps it would give me some insight into my own eating habits, even though I am not the one with diabetes. Read more about Emotional Eating with Diabetes written by Ginger Vieira and purchase your own copy. 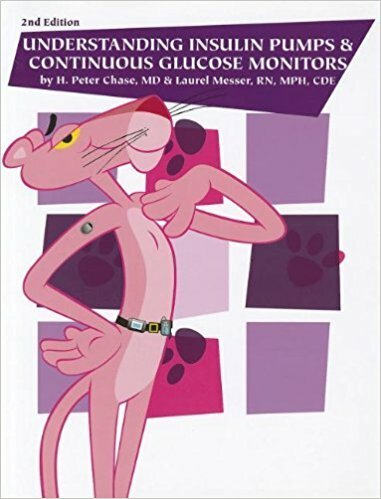 Insulin Pumps and Continuous Glucose Monitoring: I think this book would be a great resource for people exploring the use of an insulin pump. I wish I had read it as we began thinking about a pump a few years ago. It does touch upon all those topics listed on the cover. But I think the book provides more general knowledge than nitty gritty how-to. Read more about Insulin Pumps and Continuous Glucose Monitoring written by Francine R. Kaufman, MD and Emily Westfall and purchase your own copy. Kids First, Diabetes Second Book: I wrote the book Kids First, Diabetes Second because I wanted to share all that I have learned over the years. There’s no reason why you have to start at square one. Read more “resource roundup” articles and see more book recommendations on my Amazon Influencer page. 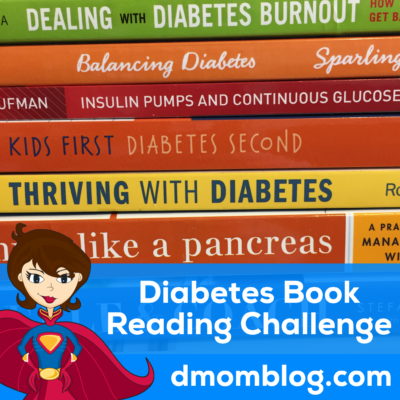 Summary: I’m challenging myself to read 6 diabetes books this year. Here is a list of books I recommend, books I’m reading next, and even a couple for d-kids. I’m not a “make a resolution” type of person, but I do like having some goals. Each year I start (and try to complete) a reading goal for the year on Goodreads. In 2017 I had a goal of reading 18 books and surpassed it with 20. I tend to listen to audiobooks, but in 2018 I won’t have as much time for audiobooks. I’m planning to listen to them when I walk on the indoor track at the local community college, which allows public use at no charge. I love historical fiction and thrillers, but the genres I read vary widely. I have a stack of diabetes-related books that I keep meaning to get to. I’m going to find the time to read them this year! My goal is to read 6 diabetes books during 2018. That’s doable, right? I would love for you to join me in reading some diabetes focused books. I’ll offer my recommendations and reviews as I go through them. I also challenge d-kids to get in on the action and will list some of our faves. To help get you started, here is my first recommendation list. My thoughts: Of course I recommend my book, especially for parents of a recently diagnosed child. I offer lots of information and support…everything I wish I had known when my own child was first diagnosed. Feedback has been great and many parents have found it to be a very useful resource. About the book: Raising a child is a difficult job. 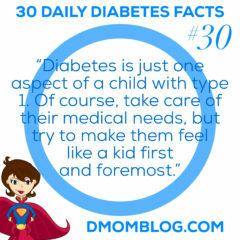 Raising a child with a chronic illness such as diabetes can be a difficult job with a side order of special challenges. Leighann Calentine’s D-Mom Blog is an invaluable resource for parents and caregivers of children with diabetes. Leighann shares her family’s experiences with her daughter’s type 1 diabetes in a forum that is intimate, informative, and inspirational. 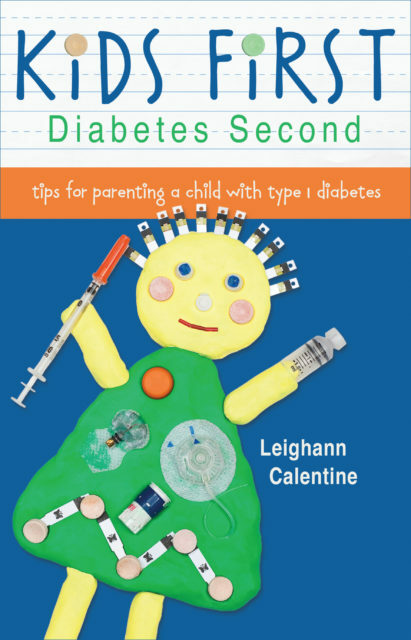 In a style both practical and affirming, Kids First, Diabetes Second presents Leighann’s advice to help parents and caregivers enable children with diabetes to thrive. Learn how to automate tasks, navigate challenges, celebrate achievements, establish a support group, relieve stress, and avoid being consumed by management of the condition, while focusing on what’s most important: raising a happy, healthy child. My thoughts: I thought it was going to be one of those books that I should read that I would have to plod through like a boring text book on the history of medicine. But I have to say it was quite captivating! The book tells the story of Banting, a Canadian who had a crazy epiphany about the pancreas in relation to diabetes. Even crazier, he thought he could just walk right into a university and demand funding for his research! About the book: It is 1919 and Elizabeth Hughes, the eleven-year-old daughter of America’s most-distinguished jurist and politician, Charles Evans Hughes, has been diagnosed with juvenile diabetes. It is essentially a death sentence. The only accepted form of treatment – starvation – whittles her down to forty-five pounds skin and bones. Miles away, Canadian researchers Frederick Banting and Charles Best manage to identify and purify insulin from animal pancreases – a miracle soon marred by scientific jealousy, intense business competition and fistfights. In a race against time and a ravaging disease, Elizabeth becomes one of the first diabetics to receive insulin injections – all while its discoverers and a little known pharmaceutical company struggle to make it available to the rest of the world. Relive the heartwarming true story of the discovery of insulin as it’s never been told before. Written with authentic detail and suspense, and featuring walk-ons by William Howard Taft, Woodrow Wilson, and Eli Lilly himself, among many others. My thoughts: Because of the attitude that we have chosen to take, I appreciate that Sierra is looking at the bright side of her type 1 diabetes and the ways in which it has made her life better by bringing her experiences, allowing her to travel and meet people, and giving her a way to be of service. I think that Sierra’s positive attitude makes her a role model for other people, especially tweens and teens with diabetes who may have an even more difficult time during this life stage because of their diabetes. About the book: Sierra Sandison, Miss Idaho 2014, is best known for launching the #showmeyourpump campaign and proudly wearing her insulin pump on the Miss America stage. Sierra now travels the country, speaking at schools, diabetes conferences, and keynoting at various events. She tells audiences of her journey from diagnosis to the Miss America stage, and spreads her message of overcoming adversity, as well as loving the things that make us unique, rather than hiding the things that make us different. Now, with the launch of her new book, Sugar Linings: Finding the Bright Side of Type 1 Diabetes, she hopes to send a new message: one of hope and positivity for diabetics and non-diabetics alike. 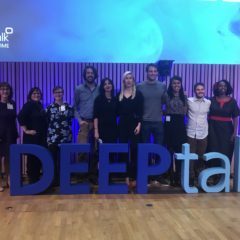 She tells her story, and also discusses the positive sides of living with type 1 diabetes: finding strength, making connections, and sometimes even forming priceless friendships with others facing similar challenges. 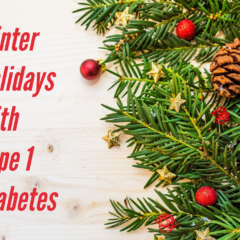 She discusses how diabetes can help one discover his or her passion and a way to make a different in the world, develop a greater ability to show compassion and empathy, and other sugar linings that can make each of our journeys with diabetes a little less gloomy. 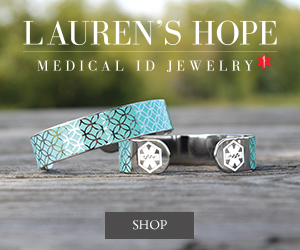 By illustrating the sugar linings that can hold true for anyone–not just the ones unique to becoming Miss Idaho–Sierra aims to bring hope to those who may be facing a new diagnosis, and anyone else who may have a cloud casting an uncertain, but daunting forecast for his or her future. My thoughts: This is my go to book when I think about making changes to I:C ratios and testing basal rates. 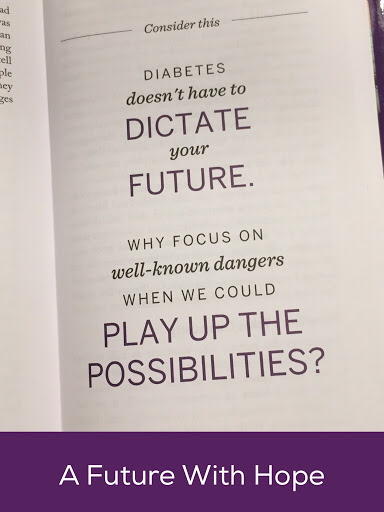 About the book: Few diabetes books focus specifically on the day-to-day issues facing people who use insulin. In this fully updated and revised edition, diabetes educator Gary Scheiner provides the tools to “think like a pancreas”—to successfully master the art and science of matching insulin to the body’s ever-changing needs. Comprehensive, free of medical jargon, and packed with useful information not readily available elsewhere, this new edition covers the many strides taken in diabetes education and management since the first edition seven years ago. Think Like a Pancreas includes critical information, such as day-to-day blood glucose control and monitoring, designing an insulin program to best match your lifestyle, up-to date medication and technology, and new insulin formulations and combinations. About the book: Adam Brown’s acclaimed diaTribe column, Adam’s Corner, has brought life-transforming diabetes tips to over 600,000 people since 2013. In this highly actionable guide, he shares the food, mindset, exercise, and sleep strategies that have had the biggest positive impact on his diabetes – and hopefully yours too! Bright Spots & Landmines is filled with hundreds of effective diabetes tips, questions, and shortcuts, including what to eat to minimize blood sugar swings; helpful strategies to feel less stressed, guilty, and burned out; and simple ways to improve exercise and sleep. Along the way, Adam argues that the usual focus on problems and mistakes in diabetes (Landmines) misses the bigger opportunity: Bright Spots. By identifying what’s working and finding ways to do those things more often, we can all live healthier, happier, and more hopeful lives. Whether you are newly diagnosed or have had type 1 or type 2 diabetes for over 50 years, this book delivers on its promise: practical diabetes advice that works immediately. About the book: Caillou is confused when Emma is allowed to have extra snacks at preschool. He’s even more confused when Miss Martin explains that Emma has juvenile diabetes (type 1). Caillou is worried about his friend Emma and becomes very protective of her. He doesn’t want her to do anything, even go down the slide. But when Emma outruns Caillou in a race, he realizes that diabetes isn’t like a cold or the flu. It’s something Emma has to live with every day ― and she’s doing a pretty good job of it. Links to bookstores are affiliate links and are provided so that you can find the books easily. I personally utilize the public library quite a bit, especially for audiobooks and fiction. Please read the disclosure statement regarding affiliate links. “About the book” descriptions are taken directly from the book or from online sources.